School is one of the most important things in student lives! School not only helps students learn necessary concepts and skills, but it also allows students to interact with other students academically or socially. The student attendance management system is important because students are more likely to succeed in academics when they attend school consistently. It’s difficult for the teacher and the class to build their skills and progress of each and every student if a large number of students are frequently absent. The purpose of developing the student attendance management system is to computerize the traditional way of taking attendance. Another purpose for developing this student attendance management system is to generate the report automatically at the end of the session or in the between of the session with proper calculation. It eliminates the need for daily attendance as the students can simply mark their attendance through the biometric system. User Friendly: Vidyalaya is user friendly because the retrieval and storing of data and reports is fast and data is maintained efficiently. Teacher staff can do the entry without any dependency on other operators. Easily from Vidyalaya Mobile Application: Vidyalaya provides the best feature to mark the attendance entry from their mobiles without sitting in the front desktop and taking extra time for that. Reports are easily generated: Reports can be easily generated in the proposed system so the user can generate the report as per the requirement (monthly) or in the middle of the session. Very less paper work: The proposed system requires very less paperwork. All the data needed is into the computer immediately and reports can be generated through computers. Moreover, workload reduces & no need to keep data on papers. This helps the teachers as they no longer have to struggle with maintaining attendance registers. Attendance reports: The main aim of the software is to make attendance process easier and to get the reports instantly. The software should be able to provide you with comprehensive attendance reports with proper & accurate data. There is no manual paperwork, so the risk of errors is almost zero. Thus, it saves the time and efforts of teachers. Notifications and Alerts: Student safety is the key priority of teachers and Vidyalaya Attendance can help to keep the parents informed about the student’s daily attendance through email and SMS alert. 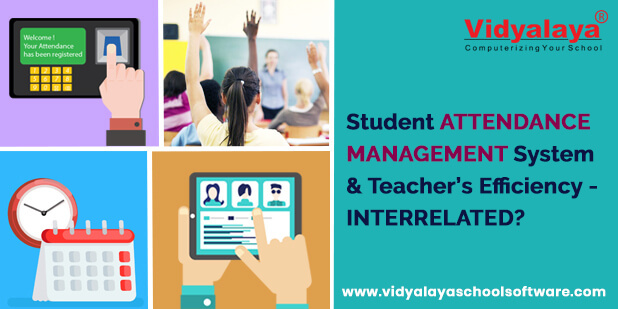 From Vidyalaya student attendance management system, we try to offer regular updates to get the best feature & make the most out of it. It is natural for issues to appear but what separates the best from the rest is the quality and response from the support team.